Q media solutions is a Toronto based communications company. Video production. Content marketing. Authentic storytelling. Digital strategy. Graphic design. Their previous served it’s function of letting potential clients know about what they do and what they have done, however the overall design and user experience was not reflective of their creative capabilities. 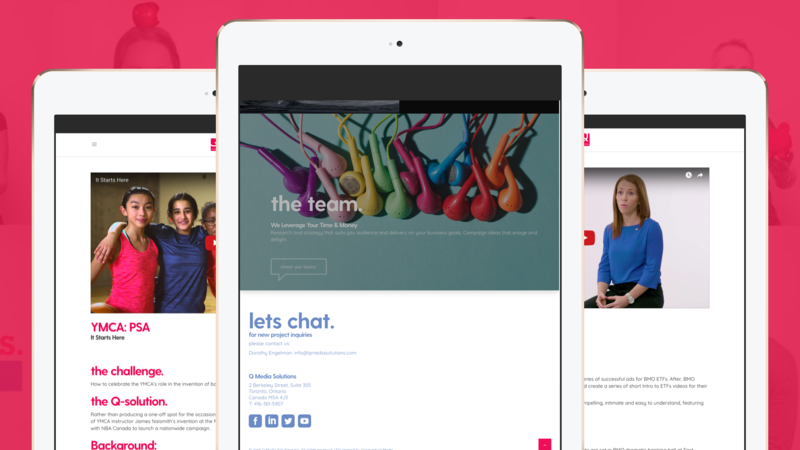 We worked alongside the design team at Q Media to re-think and re-develop their website from a perspective aware of both form and function. 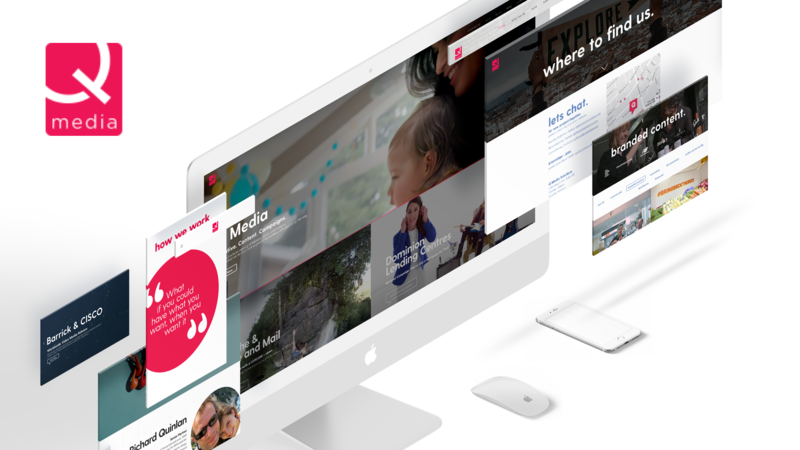 Due to their library of beautiful project based imagery, we landed on an image-heavy landing page that carries itself thought the whole experience. 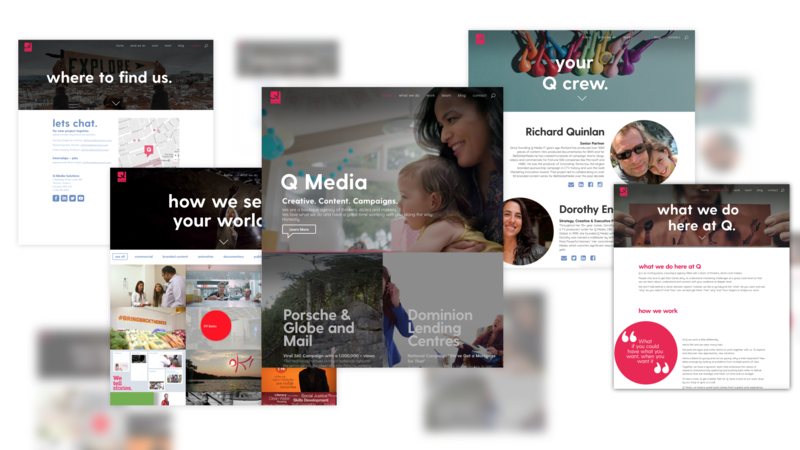 Along with building a pleasing front end, we also developed some backend capabilities that allow the team at Q Media to better sell themselves to perspective clients. Learn more about Q Media Solutions and check out their new website here!